For Ada Lovelace Day we would like to highlight all the women who work for OSHWA and represent OSHWA on our board! And we thank the allies who work with us in Open Source Hardware. Alicia is the founder of the Open Source Hardware Association. Previous to becoming an advocate and an entrepreneur, Alicia was a researcher and prototyper at Bug Labs where she ran the academic research program and the Test Kitchen, an open R&D Lab. She is a member of NYCResistor, co-founder of the Open Hardware Summit, and a member of the advisory board for Linux Journal and The Ada Initiative. She holds a degree in art education, a M.S. in Art History and a M.L.I.S. in Information Science from Pratt Institute. Catarina is co-founder of Open Materials (do-it-yourself smart materials), Everywhere Tech (open source technology transfer), and AltLab (Lisbon’s hackerspace). She has taught numerous hands-on workshops on hi-tech materials and simple circuitry with the goal of encouraging people with little to no science background to take a proactive interest in science, technology and knowledge-sharing. Catarina is wrapping up her PhD dissertation on the social impact of open and collaborative practices for the development of physical goods and technologies. She is currently a visiting scholar at ITP-NYU, Research Chair at the Open Source Hardware Association, TED Fellow, and member of NYC Resistor. Nancy graduated from MIT with a BS in Mechanical Engineering in June 2013 and is now working on her own startup,NarwhalEDU, with her friends Hanna and Cappie. 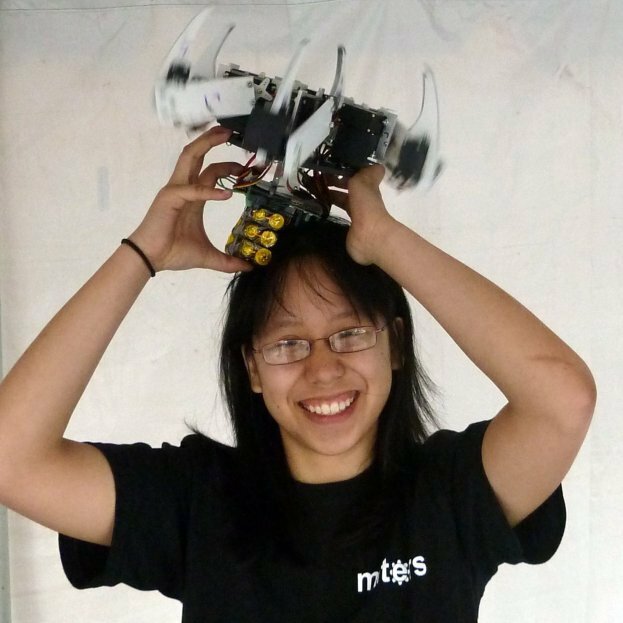 She was formerly president of MITERS, MIT’s hackerspace, and in her spare time worked on things such as Hexacon, the world’s first hexapod conference, and project dx/dt, a documentary film. She likes hexapods, nyancake, narwhals, and naps. 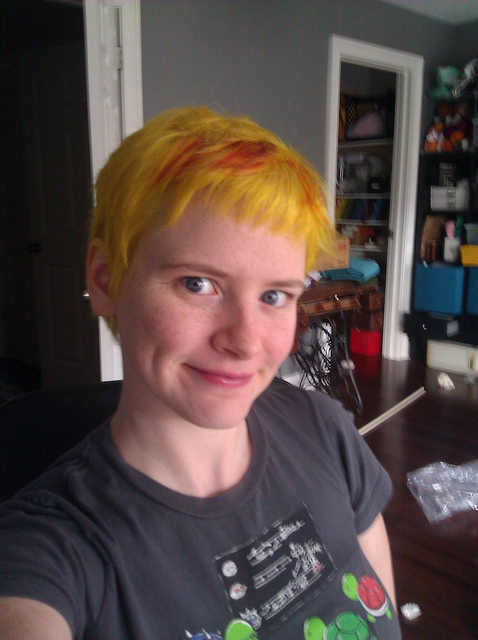 Kelly ”Kellbot” Maguire is a web developer, open source hardware enthusiast, and dedicated knitter. She is an advocate for hands-on learning through hardware hacking. When she is not trying to cajole her knitting machines into working, she can be found watching professional Starcraft matches (yes, that is a thing) and building treehouses in Minecraft. Aileen is an undergraduate student majoring in Computing and the Arts at The University of California, San Diego. Her main interest in the program revolves around electronic arts, which she was introduced to after taking the appropriately titled Electronic Technologies for Art series. In her free time, she likes to sleep. Gabriella Levine is an artist and hardware designer interested in the relationship between technology and ecology. She studied Biology and Piano at Cornell University and Oberlin College, then worked doing Cancer Research at Albert Einstein College of Medicine before abandoning the lab for the outdoors to become a wildland fire fighter based in Oregon. 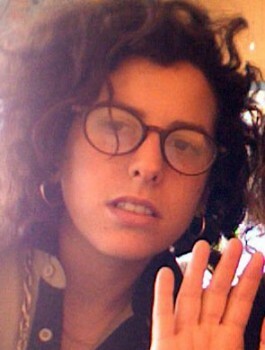 She holds a Masters degree in Design and Technology from ITP at NYU. She creates sculptural and robotic works that mimic environmental phenomena and animal behavior. Current work includes Protei Inc (open source sailing drones), and Sneel.cc (biomimetic swimming snake robots to sense environmental data). 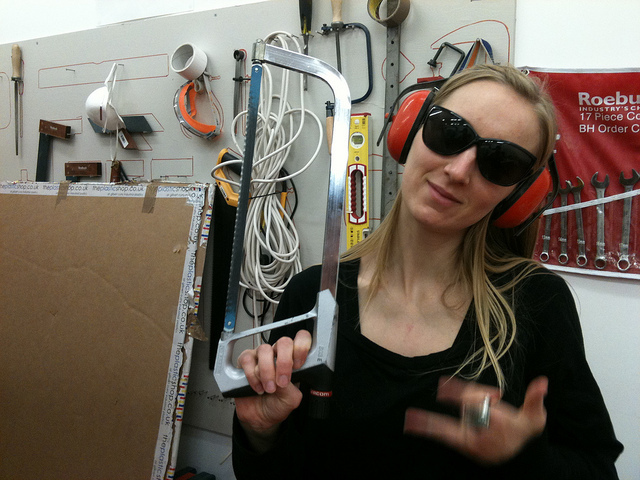 She received the 2012 Prix Ars Electronica Hybrid Arts Award, the first Artist in Residence at Instructables, the 2012 Gulfstream Navigator Ocean Exchange Grant, and was a fellow of Unreasonable at Sea. 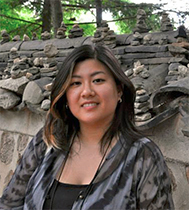 She teaches at ITP and CIID, and has presented globally at symposia and lectures. Star often spends her time building electronics, robots, welders, and writing code. She sails, climbs, cycles, mountain bikes, or soars, whenever she can. She studied electrical engineering at MIT. Danese has a long history of advocacy for open-source, earning her the nickname “Open Source Diva”. 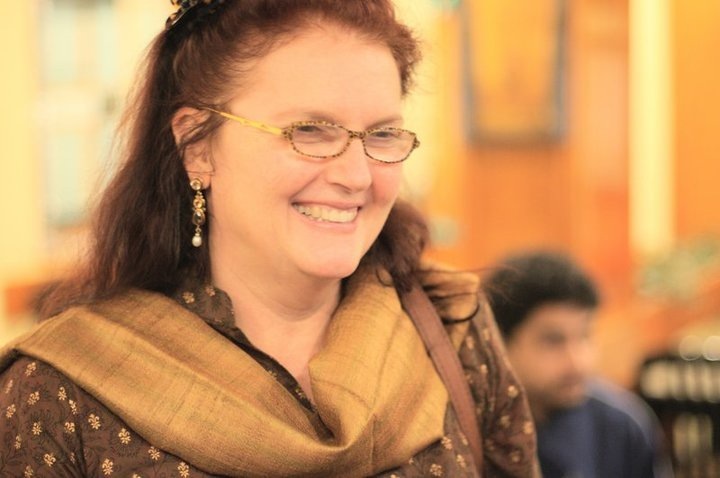 She is a Board Member at Drupal Association, an Open Source Strategist (consulting) at Bill & Melinda Gates Foundation, an Emeritus Board Member / Observer at Open Source Initiative (OSI), and a Member at The Apache Software Foundation. Previously, she was Chief Technical Officer of the Wikimedia Foundation and, for six years, an open source advocate at Sun Microsystems. 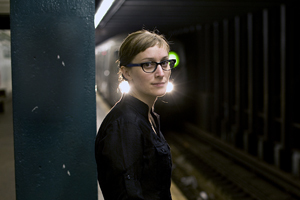 Addie Wagenknecht completed a Masters at New York University as a Wasserman Scholar and shortly after held fellowships at Eyebeam Atelier, CultureLab UK and more recently at HyperWerk Institute for Post-Industrial Design as well as Carnegie Mellon University STUDIO for Creative Inquiry. She is currently a Mozilla Open(art) Fellow, an artist at Free Art and Technology Lab a.k.a. F.A.T. Lab as well as co-founder of NORTD labs who created the open source lasercutter Lasersaur. Addie is a professor in robotics and open source computation at the institut für experimentelle architektur hochbau at the University of Innsbruck, Austria. Wagenknecht’s research, collaborations and projects are documented in a number of academic papers, books and magazines such as the Economist, Forbes, Popular Mechanics, MIT Technology Review, Gizmodo, Slashdot, Engadget, Heise, ARTnews and Der Standard. Wendy is a Fellow with Yale Law School’s Information Society Project, previously a fellow with Princeton University’s Center for Information Technology Policy; the Silicon Flatirons Center for Law, Technology, and Entrepreneurship at the University of Colorado; and with the Berkman Center for Internet & Society at Harvard Law School. She was a Visiting Fellow with the Oxford Internet Institute, teaching a joint course with the Said Business School, Media Strategies for a Networked World. She has previously taught at American University’s Washington College of Law, Brooklyn Law School, and Northeastern University School of Law, and served as staff attorney with the Electronic Frontier Foundation. Before joining EFF, she taught Internet Law as an adjunct professor at St. John’s University School of Law, and practiced intellectual property and technology litigation at Kramer Levin in New York.